How do you refuel a ship? 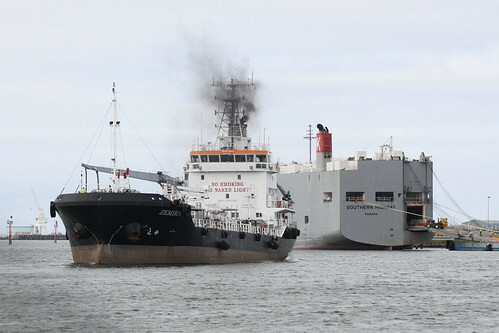 Have you ever wondered how ships get refuelled while in port? Unlike cars, ships don’t get taken to a petrol station, but the tanker comes to them. 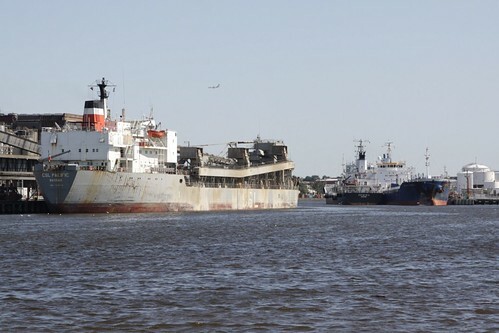 Known as a ‘bunker barge‘ these vessels pump fuel oil from their own tanks into those of the ship requiring refuelling. Shell Australia’s ‘MV Zemira’ is a regular sight around the Port of Melbourne. I’ve found her at work at Webb Dock. I’ve found her refuelling tankers on the lower reaches of the Maribyrnong River. 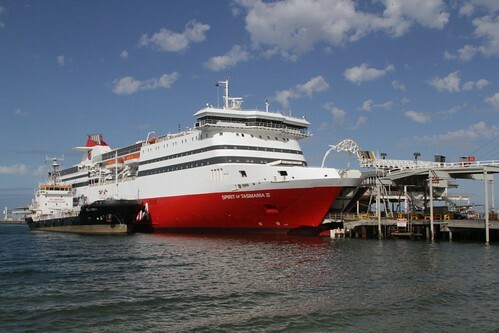 And I have even found her down at Station Pier topping up the Spirit of Tasmania. Shell Australia’s new bunker vessel MV Zemira was launched today at Station Pier, Port Melbourne, by the Victorian Parliamentary Secretary for Transport, Mr Martin Pakula MLC and Shell Australia Chairman, Mr Russell Caplan. 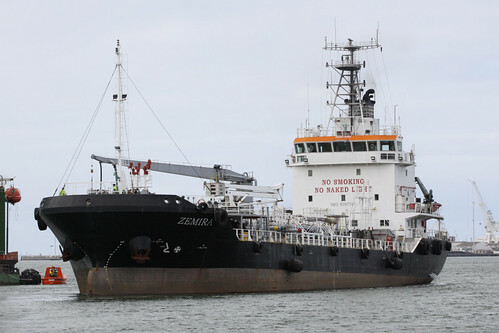 Zemira commenced bunkering operations in the Port of Melbourne on 22 September 2007 following certification and trials. The Zemira is 74.5 metres in length, 3876 dwt, has five pairs of cargo tanks and two slop (lube) tanks totalling 4668 cubic metres served by three 500m3/hr cargo pumps. Her twin Anqing Daihatsu main engines deliver 11 knots, and she has accommodation for a permanent crew of six. The vessel is manned and operated by ASP Ship Management Pty Ltd, one of the leading ship operators and managers in Australia. Zemira is named for the Zemira australis – a relatively rare mollusc of the Family Pseudolividae, with origins in the Cretaceous period some 100 million years ago. It is endemic to Australia and occurs from Fraser Island in Queensland to Tasmania. It grows to around 31mm in length. So being a Shell Australia asset one assumes it would sails all the way back to the refinery in Corio to refill the refilling ship? However I’m unsure as to whether it is to refuel herself at the refinery, or to fill up other ships at the Port of Geelong.